Interested in donating a prom dress to a young person who might need one? 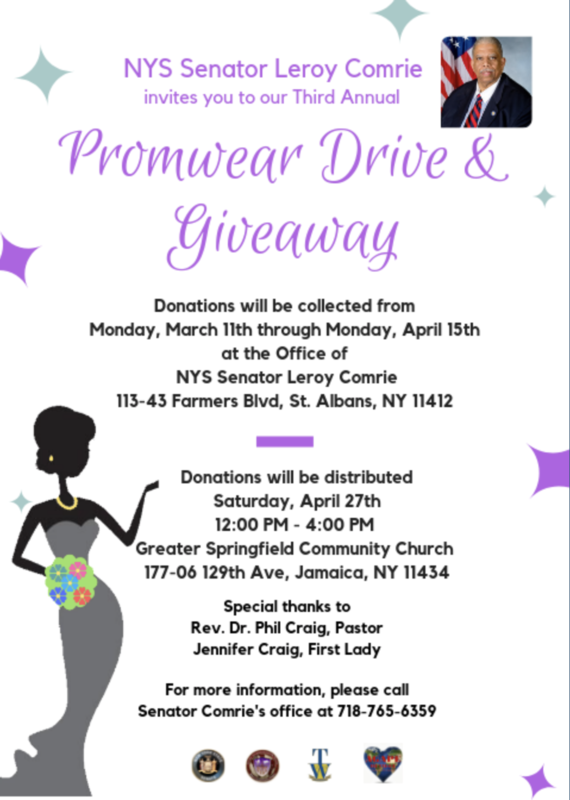 Then drop off your offering at the Office of New York State Senator Leroy Comrie. For additional information, please contact the office of New York State Senator Leroy Comrie at (718) 765-6359. Donations being accepted through Monday, April 15th.